The long winter is finally ending, daylight gets longer and longer each day... 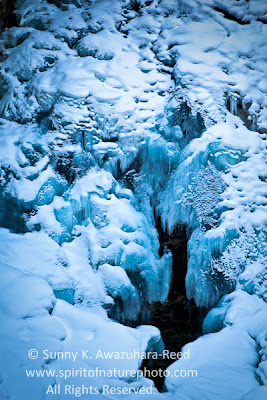 Finally the snow is melting in the northern wilderness. Time to get out and explore! Chugach Mountains stretch from the Canadian border to Southwest Alaska. 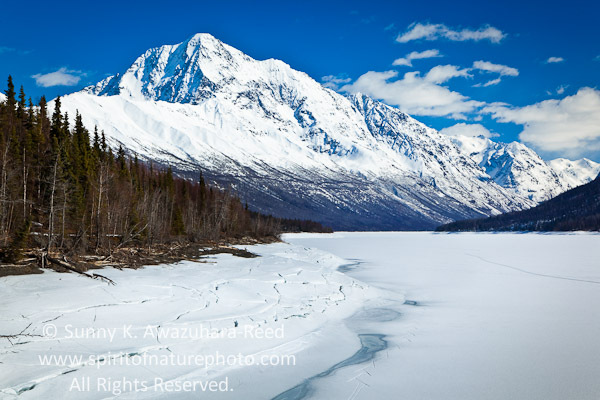 The mountain range contains dynamic landscape including high peaks, alpine lakes, glaciers, salmon streams and abundant wildlife. Chugach Mountains, especially outside of Anchorage, are a popular destination for outdoor enthusiasts, and of course, nature photographers! During the spring melt, mother nature creates amazing art... 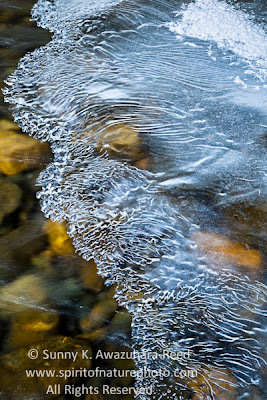 I love the textures of ice sheets over creeks. 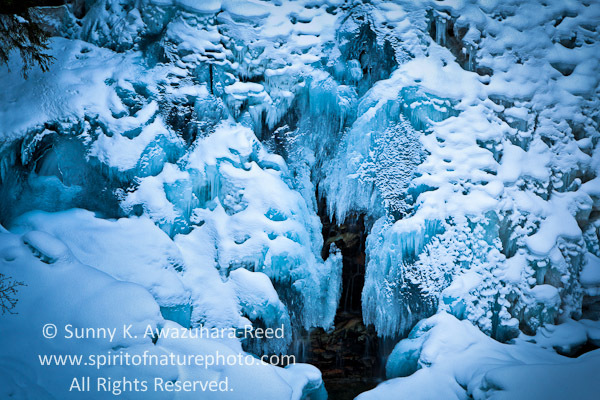 The snow dusted over the icefalls, meting water runs down behind the icefalls. Another spectacular landscape from Eklutna Lake. Finally, the lake starts the spring melt in mid May. 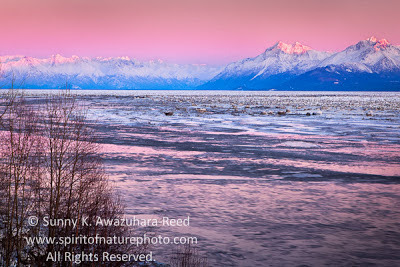 January Sunset over Chugach Mountains and Knik Arm in Cook Inlet. A sled dog team runs through Chugach Mountains. 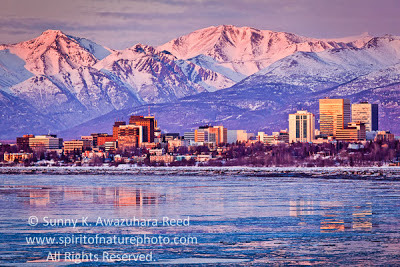 Chugach Mountains over Anchorage at Sunset. 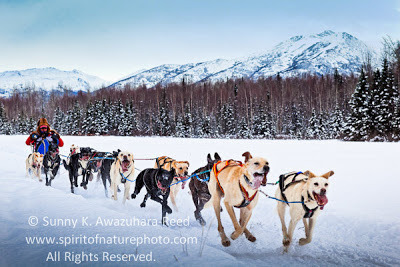 I can't wait to see and photograph beautiful fresh greenery in Chugach's outstanding landscape soon.